We’ve won over 100 awards for our service, more than any other broker, testament to the excellent level of service and value we provide. Every year we help thousands of first time buyers arrange a mortgage to take their first step onto the housing ladder. We assist them throughout the mortgage process with no hidden costs or surprises, just straightforward, honest mortgage advice. New Homes Law are specialist conveyancers focussing on first time buyers. Experts for new build, shared ownership and help to buy schemes. We have excellent relations with property developers, housing authorities/associations, mortgage brokers, estate agents and wide panel membership with mortgage lenders. Bellway is one of Britain’s largest house building companies and is continuing to grow throughout the country. Since its formation, Bellway has built and sold over 100,000 homes catering for first time buyers to more seasoned home buyers and their families. Bellway will be offering a range of properties across London at the Home Show, with Help to Buy available on selected plots. Munday’s is an ears-open independent estate agency based in south London. Once we’ve helped our buyers secure a suitable property, we guide them through the buying process. We’d love to assist with your search and purchase, and look forward to meeting and registering you. First Time buyer award-winner Inspired Homes is renowned for its high spec, high tech one and two-bedroom apartments offering ‘community living’ for young professionals in London who want to take that first step on the property ladder. Its developments in Croydon, Sutton, Crawley, Cherstey and Epsom start from as little as £249,950 and include access to a superb range of communal facilities and services such as two roof gardens, members club lounge, a BBQ area, table tennis, Brompton bike hire and a concierge service for residents. Magna Group is the most forward-thinking property developer in the UK, offering opulent properties at affordable prices. Ideal for First Time Buyers and professionals alike or alternatively as a viable investment opportunity, Magna currently has five prime sites along the M25 commuter belt. Lead-in prices for a one-bedroom apartment are £180K with Help-To-Buy options. 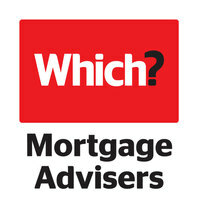 For over 40 years John Charcol has been helping first time buyers navigate the complex mortgage market. From the first call, right through to completion, our team of highly trained advisers work with you to simplify the mortgage process, saving you time and effort in one of life’s biggest decisions. Thames Valley Housing is a not-for-profit housing association based in Twickenham. Since 1966, we have helped to create over 14,500 quality homes in London, Berkshire, Surrey, Hampshire, Oxfordshire, Buckinghamshire, Wiltshire and Sussex. These include traditional rented housing, shared ownership, key worker and student accommodation. Our vision is “for everyone to have the chance to build their lives from a base of a good home”. Our profits are used to support our vision.